Why should we need one bootable USB disk? How to create a bootable Windows 10 USB drive? 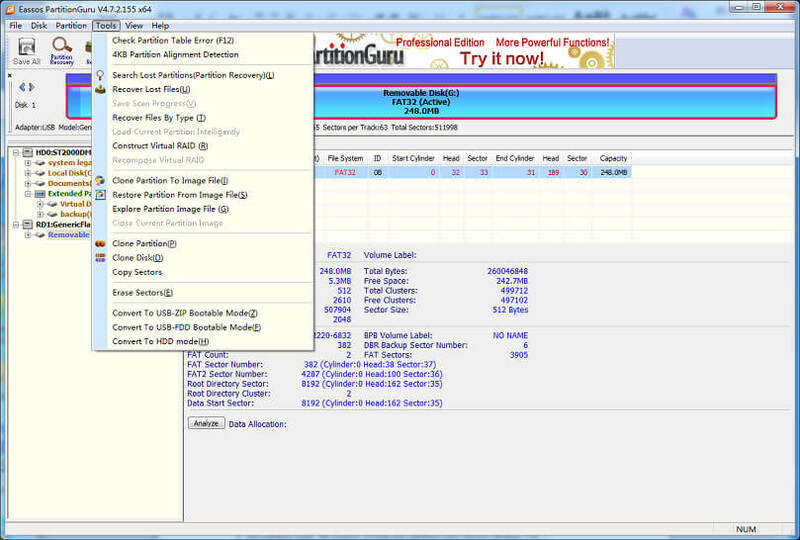 Create bootable USB of PartitionGuru to recover data? How to set computer to boot from USB drive? CDs and DVDs used to take the part, but these days more users choose USB drive instead. Optical device is large and brittle and it may get damaged due to scratch or bend; thus it may not be able to boot when you need it desperately. Bootable drive created on a USB flash drive is just the perfect device for emergency situation. USB drive takes smaller space but have lager capacity. It can be used to store or transfer data in daily workings and created to a bootable USB to fix system issue or backup data. What's more, there is no need to worry about the little media's "fading" as time goes on. Their quality has been proven by numerous users and it can hold data for as long as a decade. 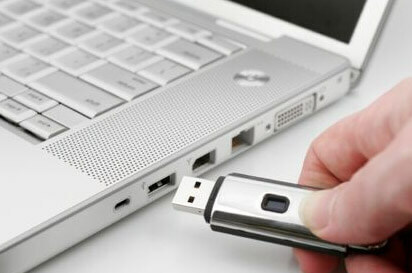 Booting computer from USB drive is the course of using USB disk to start computer. Almost all operating systems and some third-party programs support creating a bootable drive which can be connected to USB port and boot PC or server. It works just like booting function of FDD (legacy floppy disk). At present, USB boot can help install or repair OS, backup system and recover data. It's a great alternative option to users who need to boot a crashed computer. It's important to have a bootable drive and know how create a bootable USB. We count on hard drive to boot computer every time we turn it on. But what would you do if hard drive or system goes wrong and computer is no longer bootable? This may happen because of hard disk failure, virus attack, incorrect configuration, deletion of vital files, etc. The most advised solution is a backup of important data and system restore. This is when emergency boot disk comes in handy. If your computer needs reinstalling Windows, you may ask how to do it without a DVD drive. Actually, you can install Windows from a USB flash drive, which is used by lots of computer technicians. Besides, the installation process of Windows 7, 8 or 10 with USB drive is basically the same as traditional installing method. The only additional work is making your flash drive bootable with OS on it and it's easy to create one. The using of bootable flash drive is convenient in recent years as computer and laptops come with smaller appearance. It's also should be noted that many laptops or PCs you are going to fix does not have installed DVD drive or optical drive. DVD boot is not available on all computers and it's not the only option to deal with problem in the event of operating or hard drive corruption. On this occasion, you can use your boot disk to start up system. If boot disk includes the tools to repair disk problem and system errors, then it'll be the saver of your PC. Without the drive, you have no chance to get computer to work again since you even can't start up system at all. Computer corruption is frustrating situation as you can't run data recovery software to perform hard drive recovery. So, it'll be ideal to have a boot disk with hard drive recovery software and system restore program on it. Then you can boot computer, recover lost data or restore Windows. All you need to prepare is recovery software that can work on bootable disk and has powerful features to retrieve lost data. System restore can also be done if system backup image is available. A sector is a subdivision of track on hard drive and each sector is able to store fixed amount of data 512 bytes for most HDDs. Bad sectors turn to be defective and won't be capable of responding to read or write actions. If bad sectors on local drive contain vital system information, then you may get blue screen when booting or using PC. To handle this, a boot USB with installed tool that can detect and repair bad sector is needed. Windows 10 official version has been released recently and users of Windows 7 and 8 are offered free upgrade this year. And those who can't enjoy the offer will have to buy Win10, which is now being sold on USB drives, DVDs and downloads. Whether you have had your computer installed Windows 10 or not, you should have a bootable Windows 10 USB drive. This guide will take you through steps of creating a bootable USB. 1. A USB flash drive and its capacity shouldn't be less than 4GB. Also, it'll be better if the USB drive has fast speed. Note that all files on the drive will be removed, so please make sure everything has been backed up. If you do not have a USB flash drive at hand, a SD card inserted in a card reader works as well. 2. Windows 10 ISO is also needed, which can be downloaded from MSDN. 3. A computer that runs Windows operating system with well-functioned Command Prompt. 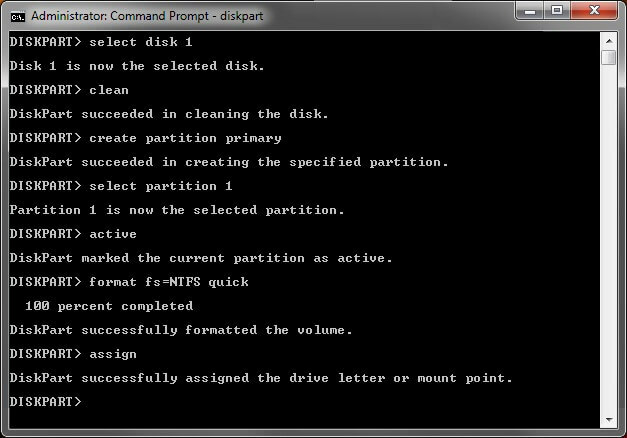 Open the Command Prompt and execute the diskpart command. Get the list of storage devices with the listdisk command and identify the disk number of the USB flash drive. Use "create partition primary" command to create a primary partition on the USB disk and use "active" command to active it. Then format it as NTFS with the command format fs=ntfs quick. Then use "assign" command to assign a drive letter, after which you can see the disk in Windows Explorer. Extract files from Windows 10 ISO with programs like WinRAR or 7-Zip and copy these files to the USB drive. PartitionGuru is reliable tool that can recover lost files and partitions, repair bad sectors, resize partition, backup system, etc. It provides all-sided functions to manage partition, disk, data and system. It can be used under Windows as well as various bootable disks. Meanwhile, PartitionGuru builds in a feature of making bootable disk with which you can boot to MS-DOS and use PartitionGuru to complete all kinds of tasks. Connect the USB flash drive to computer and follow the steps to make bootable USB disk. Install and launch PartitionGuru. Select the USB drive, click menu "Tools" and select any of the last three items, such as "Convert to HDD mode". Click "Yes" on the message boxes. 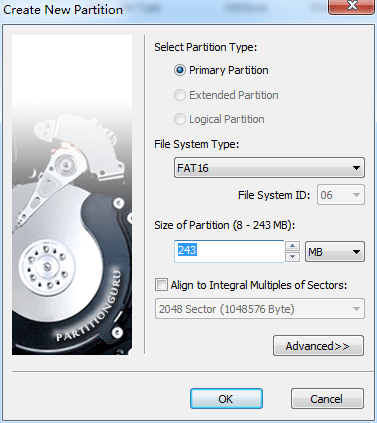 Set partition type, file system format and partition size before clicking "OK". This process also erases all files off the USB disk, so you need to backup all important data before these operations. If you already have a bootable disk, such as Windows PE bootable USB or CD, and you can skip steps above and copy the installing folder that contains all files of PartitionGuru to the boot disk, and then you'll find all features of the software works as well on the boot disk. After computer is booted, you can recover lost data, perform system restore, check bad sectors, etc. Normally, computer boots from internal hard drive that installs operating system and booting information. While, when you boot compute from removable disk, what you are doing is running computer with the system installed on the USB media. 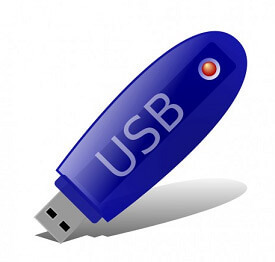 USB flash drive can also be set as the booting device and used to boot computer. For this, the USB disk should be formatted as required format and contains required boot information and operating system. You can follow steps here to set computer to boot from flash drive or some other bootable devices. First and foremost, we should learn little about boot sequence, which helps us understand the operations more easily. 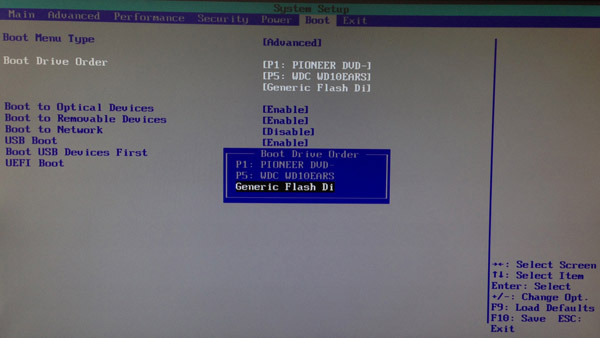 Boot sequence, also referred as boot options or boot order, decides which device should be check for system's boot files when computer is turned on. Besides, it defines the sequence of devices to be checked. The sequence can be modified and re-ordered in BIOS (Basic Input/output System), and we need to set the bootable USB as the first boot device. Then computer will check it for boot information ever time computer starts. Insert the bootable disk to computer's USB port. Turn on or restart computer and watch messages on the screen to show a special key, such as Del, F2, F10, etc. Then you need to press it as soon as possible. Then you should see a new screen which is called BIOS. This is the very place you can set a lot of basic setting for computer, including boot order. Look for an option called "Boot" "Boot Option" or something like that. Set the boot USB disk as the first boot device. Depending on the BIOS, you may need to use arrow keys to move selections. Save settings and exit BIOS. Then computer will reboot and make sure the flash drive is well connected to computer. 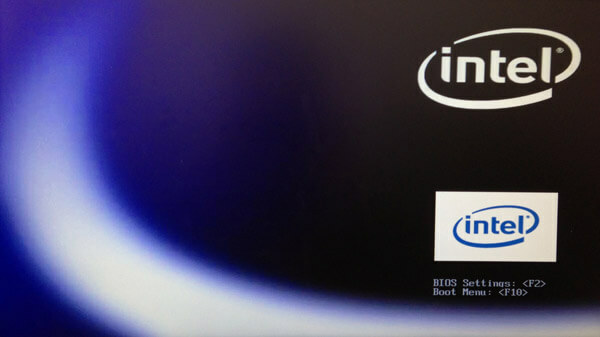 Bootable disk is a good insurance to keep in case of computer crashes; bootable USB is much better than DVDs, as they are very portable and can be used on a vast number of devices. Having a bootable with PartitionGuru installed benefits all the time.